Heart and kidneys scanned clear August 21st 2018. NO*Raggedly Yours Damian is our very first breeding male. 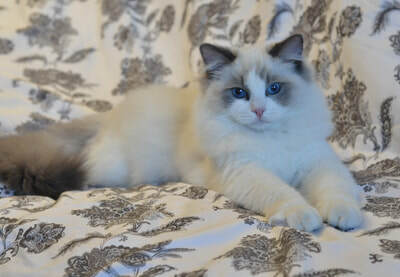 He is Co-owned with Siril at NO*Arctic Sapphire ragdolls, and will sire litters for both catteries. 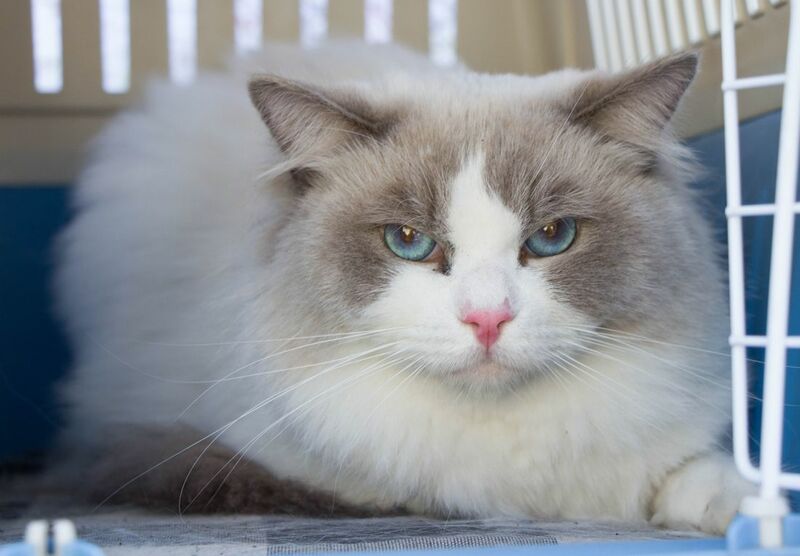 He is already a large and well-tempered boy with a nice heavy build, great coat quality, nice colouring and excellent blue eyes. He has a large head with good ear size, placement and tilt, nice width in the head and great heavy boning. His profile is a little weak, and I would prefer more height in the forehead, stronger chin and cheeks and also a more "open" expression. He is in a little bit of an awkward phase, and not fully developed, so I am sure he will get even more handsome in time. 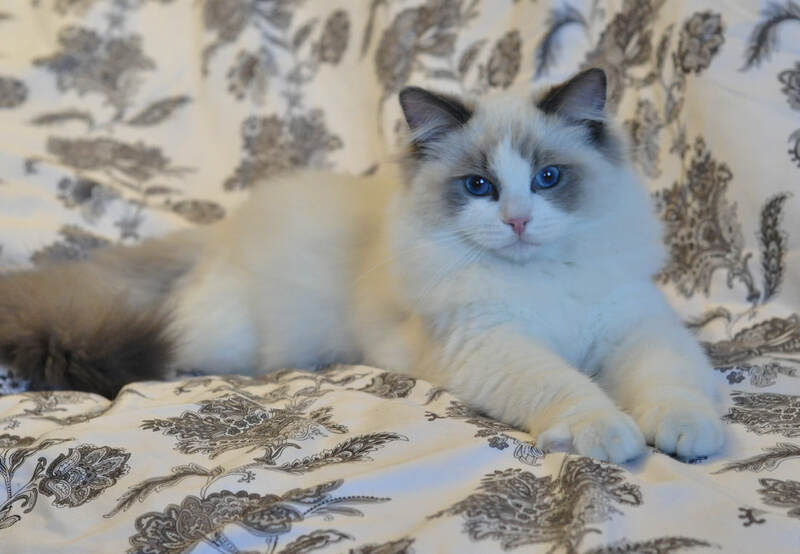 Damian won EX1 at Østfoldkattens cat show October 14th 2017, and also won best litter with his two sisters. He is missing 2 certificates for the Champion title. 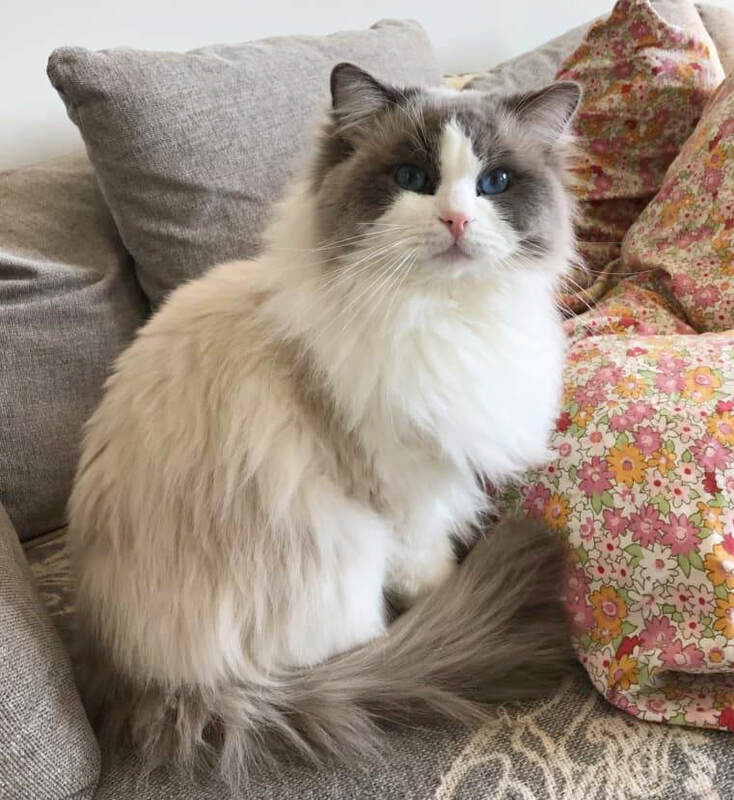 His heart and kidneys were scanned at Fredrikstad Dyrehospital under the PawPeds program in August, and he got a clean bill of health. 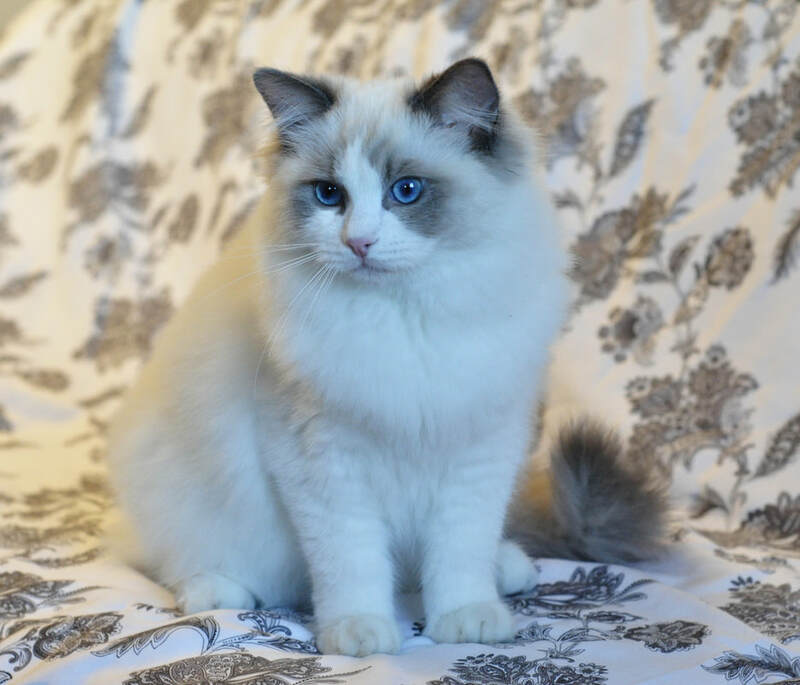 Damian has a lot of nice qualities that I hope will suit and compliment my girls :) He will hopefully have his first litters later this year ♥ Damian lives in host family with my sister Line and his doggo big brother Winston, where he goes by the name Napoleon. 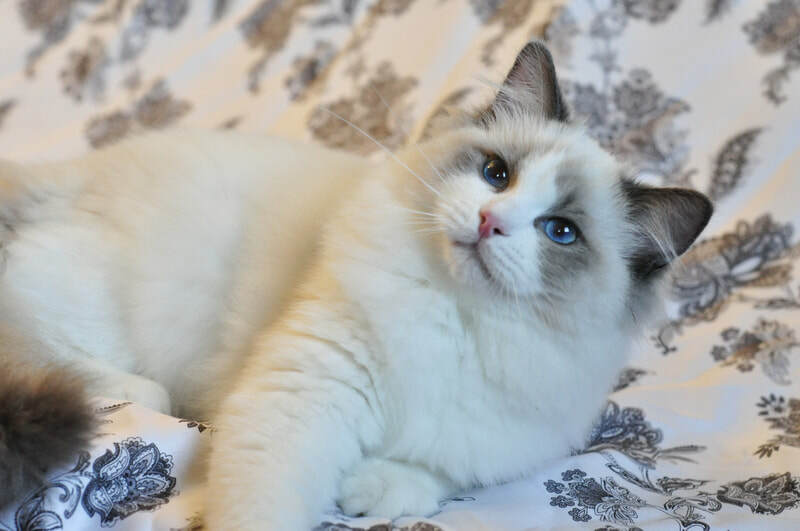 Thank you so much to Elisabeth Capra for this wonderful boy!